Last week Thursday and Friday with the appearance of the CSN delegation led by Rev Fr. Prof Cornelius Afebu Omonokhua, who represented Most Rev Kaigama, at the expanded National Executive Committee meeting for the amendment of the constitution of CAN and the quarterly meeting of the Association. 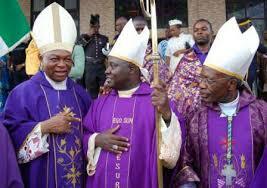 Rev Ayokunle could not hide his joy on the new development when he was reacting to their return. He said: “Their return was one of the best things that have been happening since I was given the mandate to become the President of the Association. One of my visions for CAN is to bring our Catholic brothers and sisters back to the fold and I must acknowledge the support and understanding of my brother in Christ, Most Rev Ignatius Kaigama, President, Catholic Bishops’ Conference of Nigeria and his team. “At a time like this when Christians are almost becoming endanger species in Nigeria, when churches are being denied the Certificate of Occupancy especially in the core North, when Christians are being denied of key public offices and when the Church is expected to speak for the voiceless especially over the economic and social hardship in our country, we cannot afford of being at war with ourselves”. Speaking further, Ayokunle who also doubled as the President of the Nigerian Baptist Convention said, “Our Association is unity in diversity. Jesus Christ prayed for the Church shortly before He returned to heaven in John chapter 17 when He said, ‘I do not pray for these alone, but also for those who will believe in Me through their word; that they all may be one, as You, Father, are in Me, and I in You; that they also may be one in Us, that the world may believe that You sent Me”’ (John 17:20&21). The Director of Legal issues, Barrister Samuel Kwanku disclosed that the association is working on the new Constitution to ensure that “CAN has an effective internal mechanism to address any misunderstanding among its members. 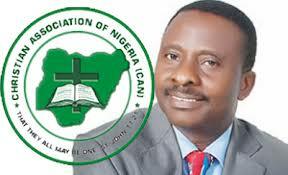 We are all happy with the return of the Catholic Secretariat of Nigeria (CSN). Our strength lies in our unity.” The CSN delegation participated fully in all the discourse while the two days meeting lasted.